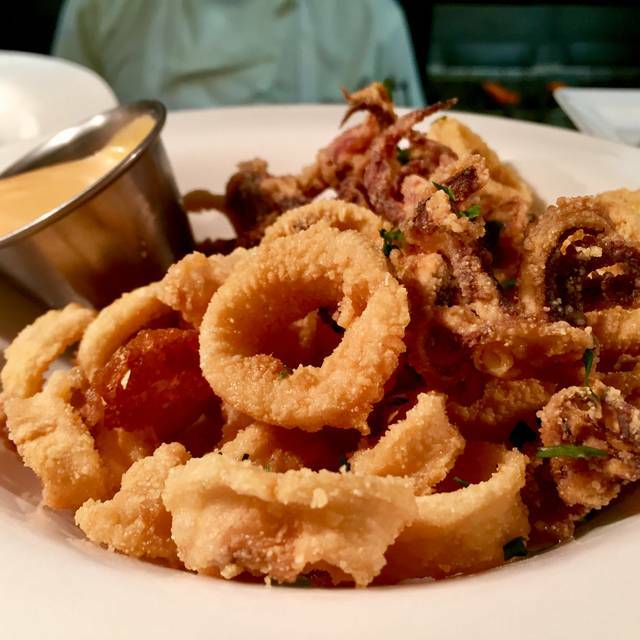 At Fish, we prepare each dish to highlight the ingredients’ distinct flavors and flawless quality. 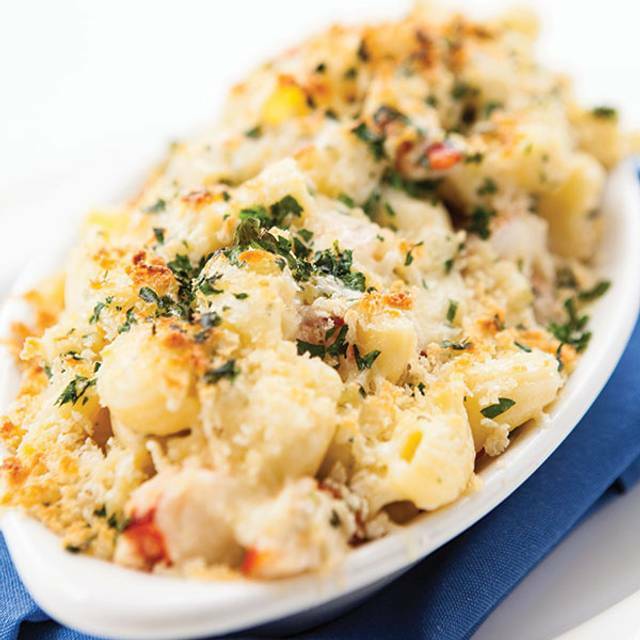 Relax at a table overlooking the Venetian Bay as we dazzle you with our extensive menu of carefully selected seafood. 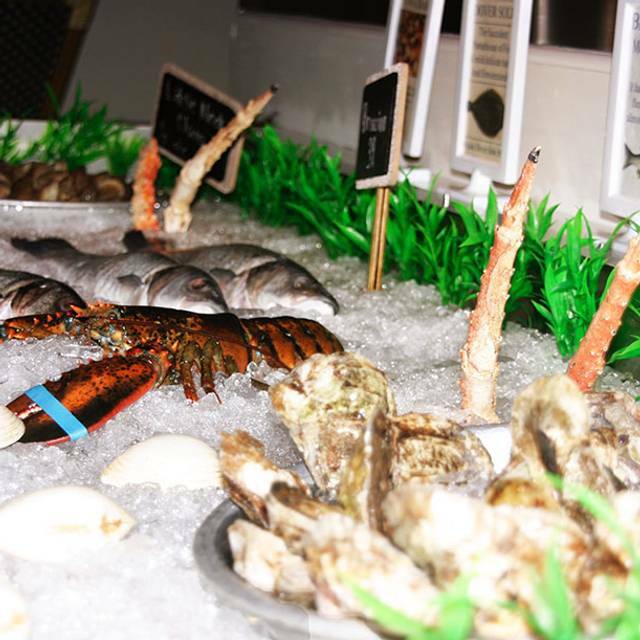 We will be featuring an ever-evolving menu of seasonal local fish, as well as other exciting seafood options, such as Oysters, clams and lobster.Savor the flavor of freshness as you dine on produce chosen from local organic farms. 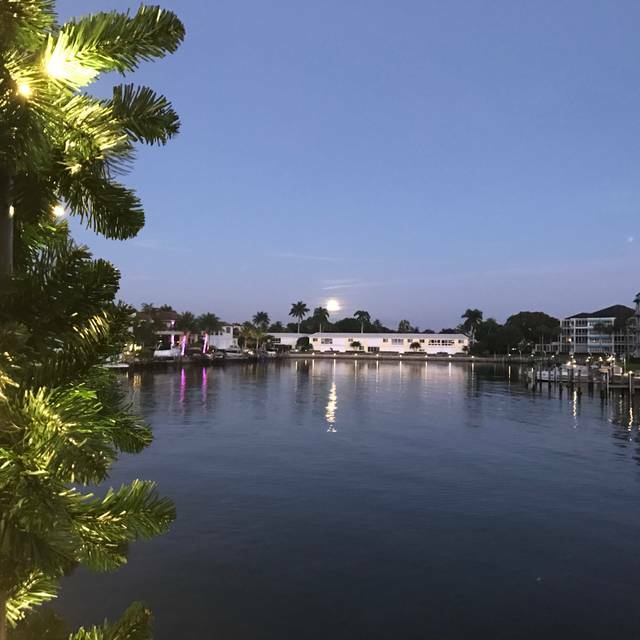 We’ve developed close relationships with our suppliers, from small, family-owned companies in the Mediterranean, to independent fishermen right here in Southwest Florida, to ensure you the exceptional quality you desire. Join us at our spacious bar for a cold glass of wine and a sampling of oysters, clams, and other delicacies of the sea. Or try something from our sushi menu, where our innovative sushi chef will bring you exciting dishes meant to do what we do best here at Fish: show off the natural flavors. Out waiter, Michael, was excellent. He was attentive and timed the courses well. Our table had oysters, burrata salad, caesar salad, lobster tails, lobster ravioli, sushi and scallops with saffron risotto. Everything was fresh and delicious! Food quality has changed. Miniscule branzino portion for >$30. Just not the same Fish. The food was just ok. Nothing special. Was expecting a little more craftsmanship. We had an exceptionally good dinner this time, and a lovely day to be on the water. Service was prompt, the food prepared to order, but next time we would request a different salad dressing (on the side). Afogato dessert was also excellent. Loved it, we ate outside overlooking the bay and it was a gorgeous night. The food was great. Food was ok but the service was very poor. It wasn’t that busy but our waiter seemed to forget about us. The outdoor deck on the water was very relaxing but with all the choices we have to dine I’ll try others. Excellent dinning experience, great atmosphere! The ambiance was perfect! The food was mediocre with service that was inattentive. Many of our items came out wrong. Loved the view just not the food. However the salmon was delicious I would give the salmon 5 stars. The Caesar salad was very good, but the lobster ravioli was excellent! The service was great. The view of the bay was beautiful and relaxing. 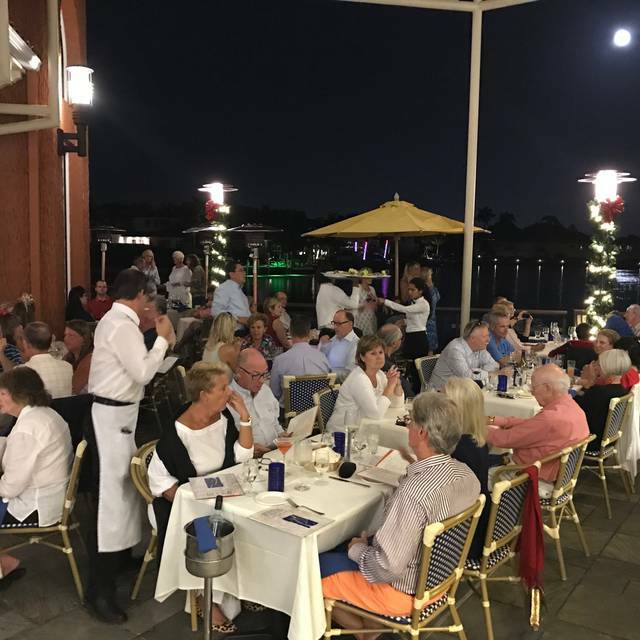 Fish is one of the few Naples restaurants that is actually on a body of water. Not the Gulf but an attractive canal with boats coming and going, adding to the experience. The menu selections are generous including a separate sushi menu. Obviously any of the fish dishes are excellent. Service is attentive without being stifling and portions and pours generous. Plus there’s valet parking which makes the entire experience that much more enjoyable. Since it’s mostly outdoors be aware that there can be a smoker sitting nearby. Not sure what the law is on this in Florida but once we found ourselves downwind from one there was a vote to leave earlier than we might have. If there’s no smoking then the staff failed to police it. FISH is a lovely waterside restaurant in the Village on Venetian Bay. It has 3 dining areas (indoors, outdoors, bar) and some couches for outdoor casual seating. 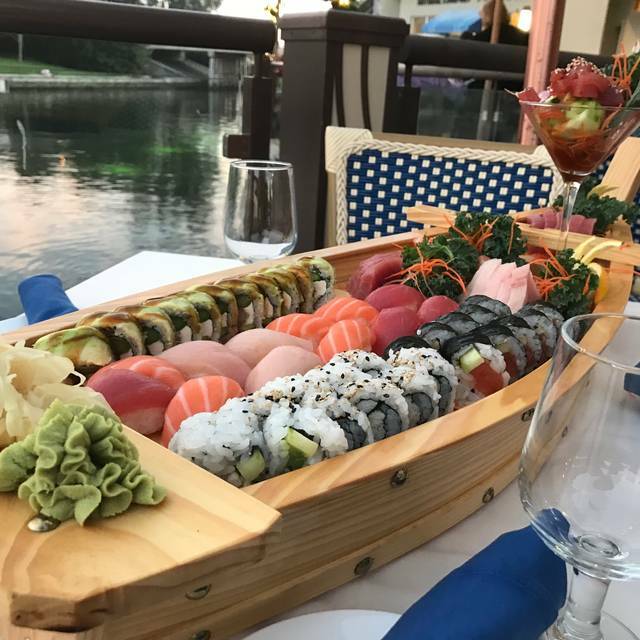 Menu features sushi rolls, fish, pasta, salads, meats plus good mixed drink and wine selections. 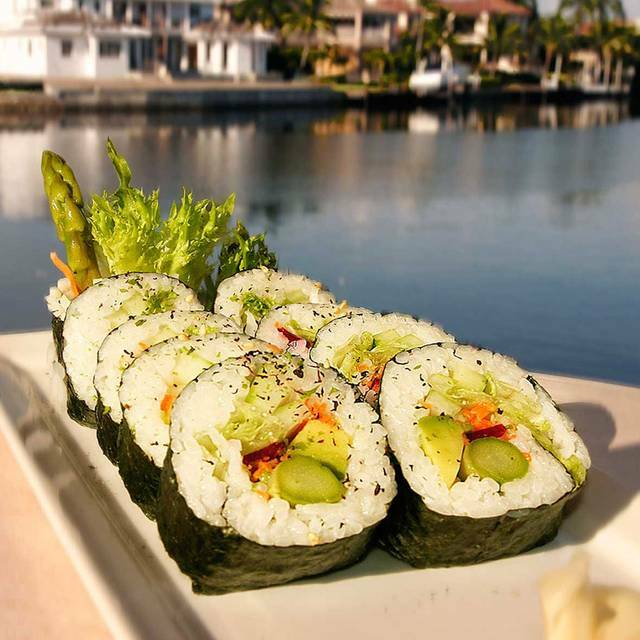 For location and food quality, prices are within mid-range for attractive Naples location. Wonderful service!!!!!! Great lobster sushi.. wonderful outdoor dining!!!!!!! Service was not great and the food was okay. Sitting by the water is beautiful though. Great atmosphere, delicious food, highly recommended a trip to dine there! Restaurant is in nice location. Table areas not too crowded and pretty quiet. Service was fast and pleasant. Fish meals very good quality and reasonable portion size. Price was somewhat more expensive, about $8 to $10 per meal compared to other similar restaurants. Not really worth the extra. Family get together. Made reservation late afternoon based on a recommendation. When we arrived, the place was not crowded yet we waited twenty minutes at our table to even be greeted with another ten minutes for water and bread. When we finally ordered, we were told that the kitchen was backed up so our order may take awhile even though the place was half empty. It did not and the food was excellent. Beautiful table outside. Shame the service was so bad. We return to this restaurant every time we are in Naples. Not only is the food very good the restaurant is located in a lovely setting and the staff are friendly, courteous and helpful. When I made reservation I stated it was my birthday. The waiter never mentioned it and they served up a bread basket that had already been eaten out of including used butter! Whenever we said thank you, his reply was “yup.” We ordered a couple sushi rills for appetizers...He said he would take out dinner order only after we ate our rolls. Fast forward to 35 minutes of waiting for our dinner order to even be taken, as soon as he ended up coming back to us, I quickly asked for the check. I was very disappointed in the service and the way we were treated. I have been dining at FISH several times a year, often hosting large family groups, since 2012. FISH declines with each passing year, but tonight’s experience was so unworthy that this marks only the second time in 15 years I have been disappointed enough—by any restaurant in any city—to write a review. The short version: the service was Bad News Bears inept. The first appetizer was wrong (despite a discussion with the waiter about the correct appetizer); the wrong wine being brought out (despite my having provided both the name and bin number of the correct one); and the entree sushi order being was doubled—and wrong to boot. Sadly too, the sushi isn’t what it used to be. One of the worst dining experiences I’ve had in 40 years coming to Naples. The hostess was absolutely great as far as accommodating us. was breezy outside and they moved us inside for dinner. The lollypop lamb chops were the best I've tasted. The linguine and clams was a little dry but very tasty. One of our favorite spots. Our experience was a bit disappointing, based on the reviews. Staff seemed disinterested in us and one server forgot to fulfill promise to bring pepper for our salads. Grouper was overcooked. Price point $30+ for entrees is too high for quality and service. I love this place. The view is wonderful and the food is always excellent. The first problem I ever had was this past visit. I told the hostess that I was waiting for another couple that I've never met before and to please seat them at my table when they arrive. I waited 45 minutes and finally reached out to the other couple and they were sitting at the next table. They said they said the same thing to the hostess. The waiter was excellent, food fantastic - I love the sushi, and the view is beautiful. Just don't rely on the hostesses for anything. Great food and attentive service. The food was simply amazing!!! Food is always delicious , service is attentive and the setting is spectacular. FiSH restaurant was overall nice. Waiter was efficient and view of the water wa outstanding. The food was just average for a busy tourist area. Surprised at the lack of fish plates and no fish of the day. A little pricey too. The day was beautiful and the setting was lovely. We ate looking over the water. The waiter was pleasant and knowledgeable. We had a delightful lunch. We were three and everyone was happy. We were promptly seated near a window by the water as requested. The food was excellent-very fresh seafood. A harpist played lovely music the entire evening. 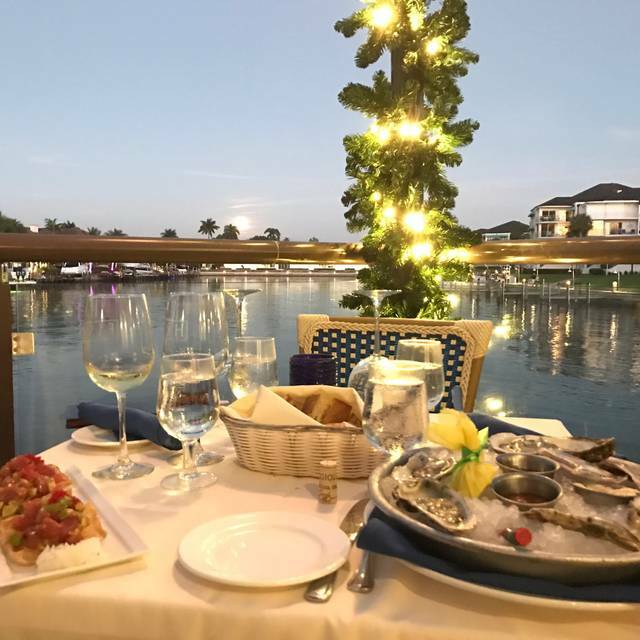 Although our food was excellent and our server was good, the extraordinary time period between our appetizers and dinner disappointed our group of 4. There was real problem in the kitchen as other friends complained about the same issue that night. Fish has been our favorite and we have been many times, but Friday’s experience will cause us to think twice about going back soon. While the food is excellent, the waiter was over worked. He was handling too many tables, in and out. We waited for everything, we ordered tea, received hot water, never received tea bags. 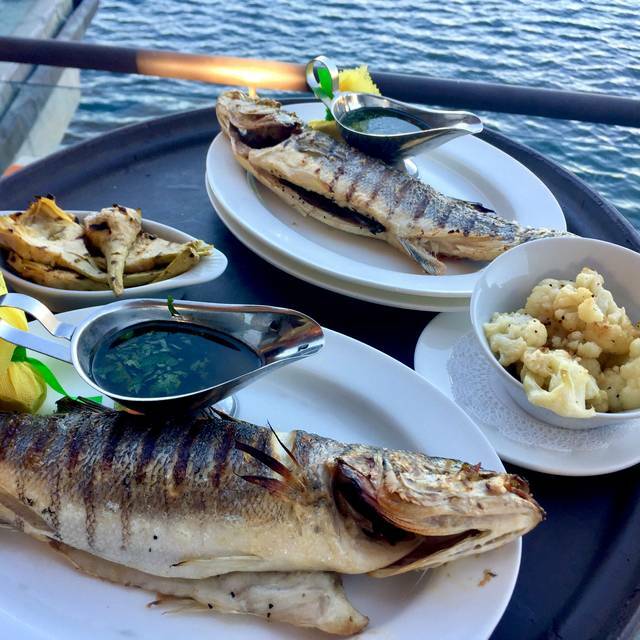 Delicious fish on outside deck with beautiful view of water.